When you stay at Harborside Resort at Atlantis in Paradise Island, you'll be next to a golf course, within a 15-minute walk of New Providence Island and Cabbage Beach. This 4-star resort is 7.9 mi (12.7 km) from Cable Beach and 0.8 mi (1.3 km) from Versailles Gardens. Make yourself at home in one of the 392 air-conditioned rooms featuring kitchens with refrigerators and microwaves. Rooms have private balconies. Flat-screen televisions with cable programming provide entertainment, while wireless Internet access (surcharge) keeps you connected. Private bathrooms with shower/tub combinations feature jetted bathtubs and complimentary toiletries. Pamper yourself with a visit to the spa, which offers massages, body treatments, and facials. After a day at the private beach, you can enjoy other recreational amenities including a casino and a nightclub. Additional features at this resort include wireless Internet access (surcharge), concierge services, and babysitting/childcare (surcharge). 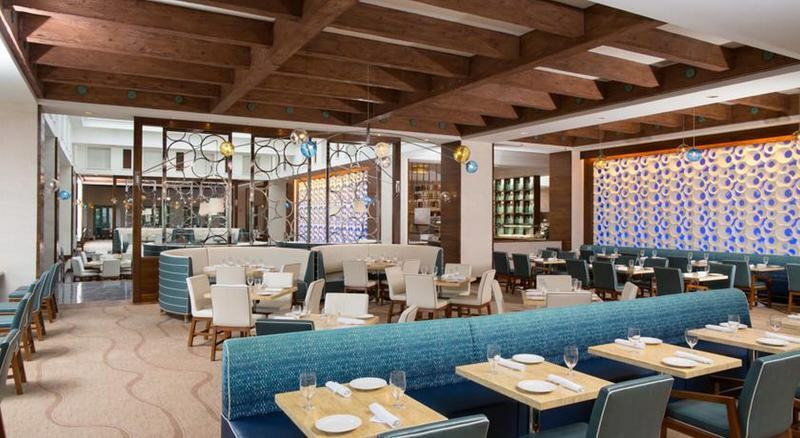 You can enjoy a meal at the restaurant serving the guests of Harborside Resort at Atlantis, or stop in at the grocery/convenience store. Relax with your favorite drink at the bar/lounge or the poolside bar. Buffet breakfasts are available for a fee. Featured amenities include a 24-hour front desk, a library, and an elevator (lift). discover all that Paradise Island can offer you!